Well, we've moved! 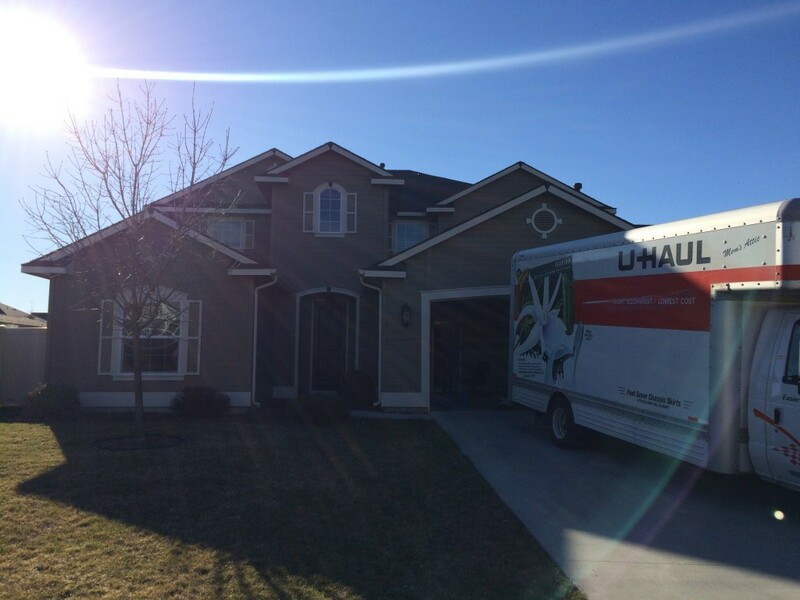 After finally paying off our house in Orange County (after 14 years), we decided to start over with a new house in Boise, Idaho. 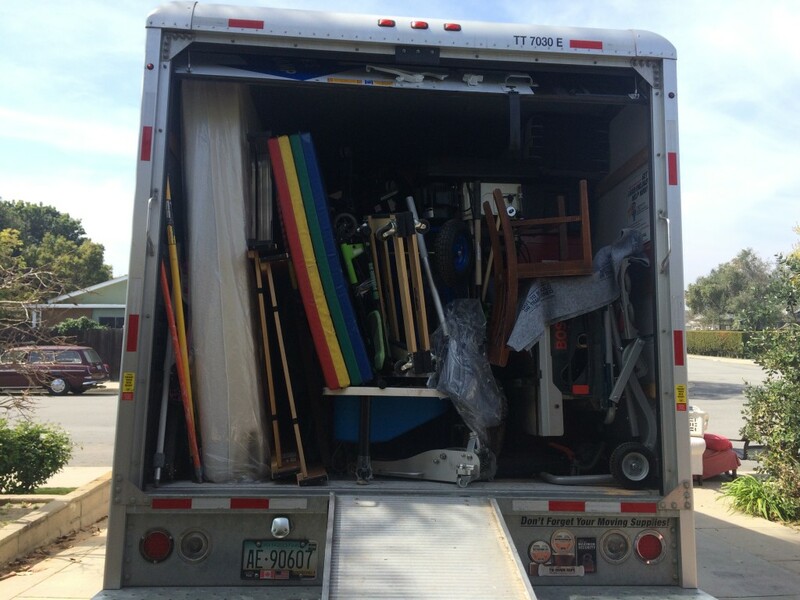 Packing everything up was difficult, but fitting it all into a 20-foot truck was even more difficult. It took a couple of tries and two days of work to get it all in. We didn't have much furniture other than beds, so that helped. A 20-foot truck is not very big, we should have gotten the 26-footer, it would have made loading it much easier. 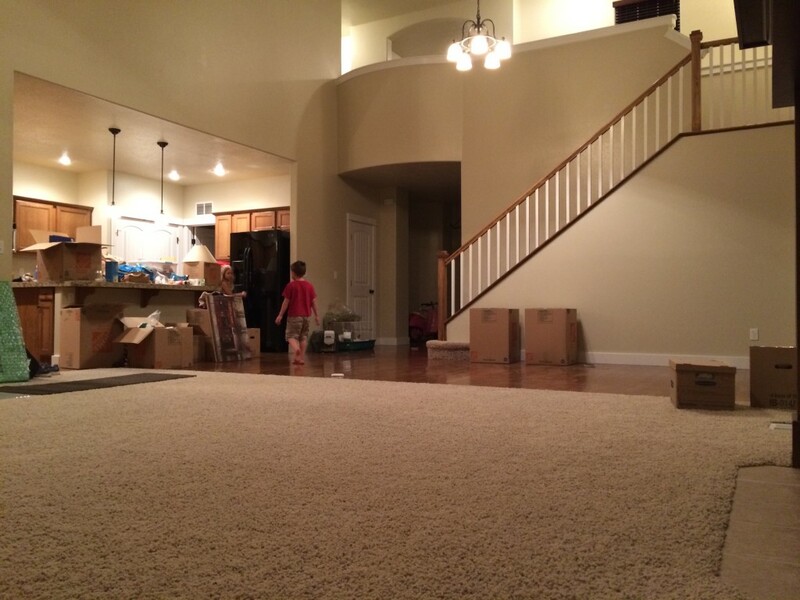 After a two day trip, we showed up at the new house and it only took an hour to unload. Of course, unpacking and organizing everything took considerably longer. We've done some work on the house, but it's actually a nice modern house that didn't need much fixing. 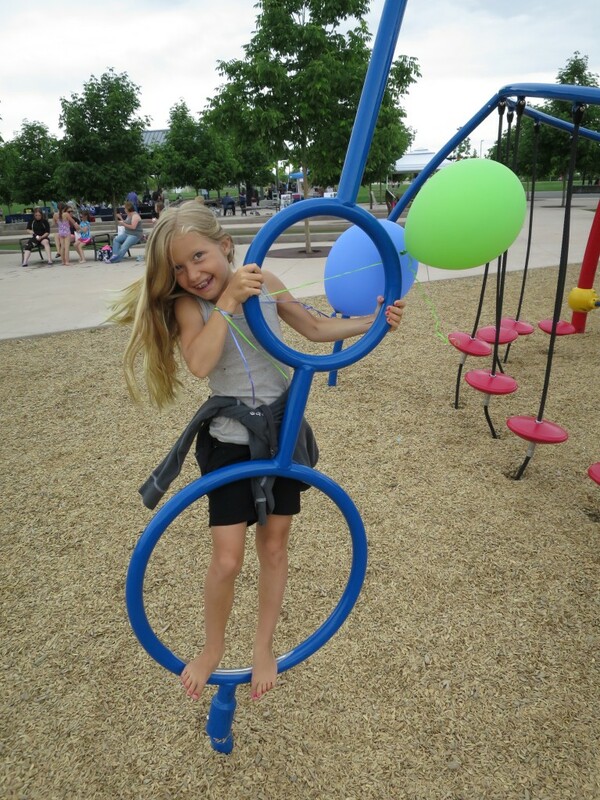 There's a park by our new house, it's pretty big and nice. They are having concerts there during the summer. 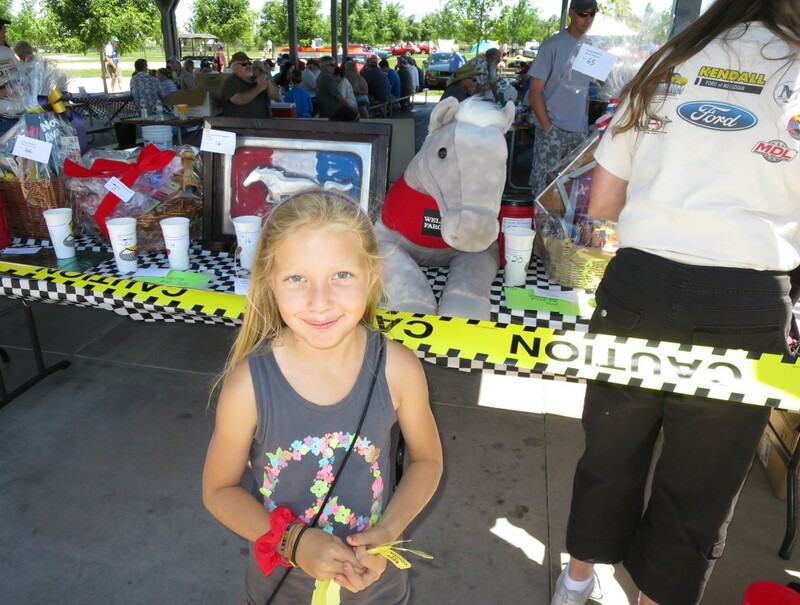 There was a car show in the park, and Amelie and Mia bought raffle tickets for the stuffed horse behind her. They spent about $40 on raffle tickets, and still didn't win it! 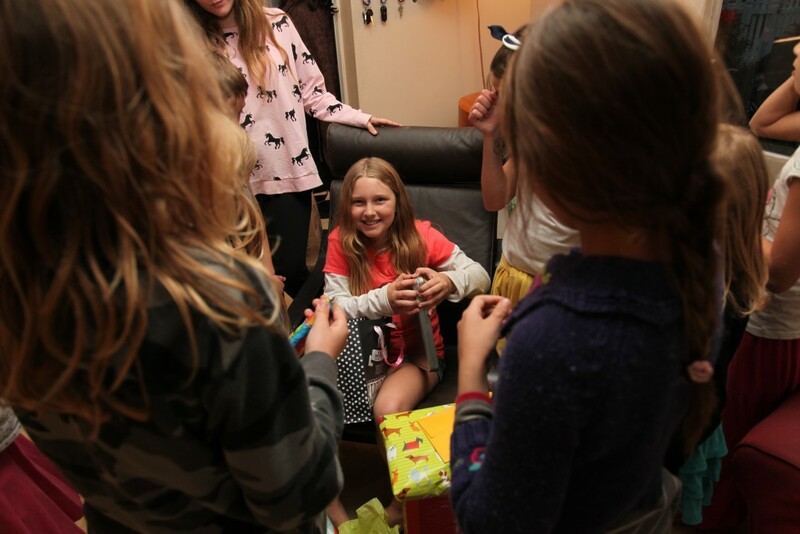 The weekend before we moved, Amelie turned 11, so we had a last-ditch birthday bash for her. It was a lot of fun and also worked as a farewell party. 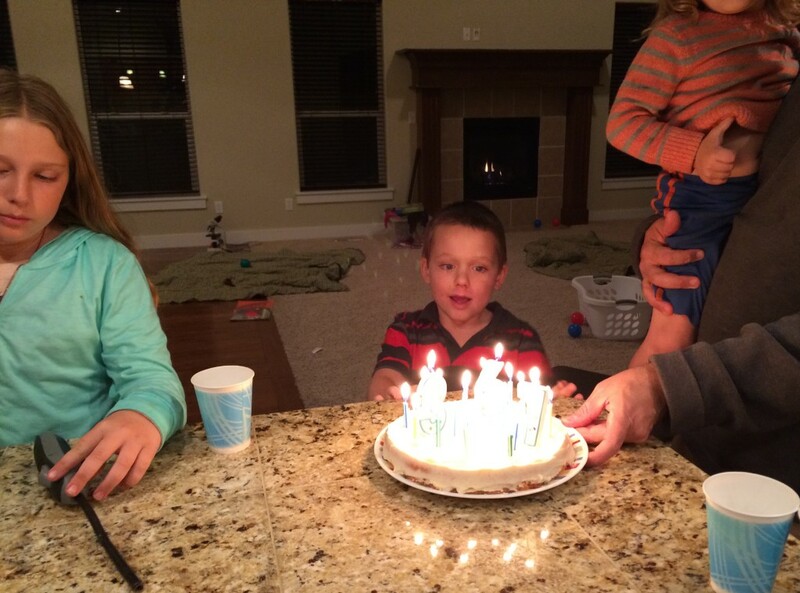 The week after we arrived, Desmond turned 6, so we celebrated at the new house. 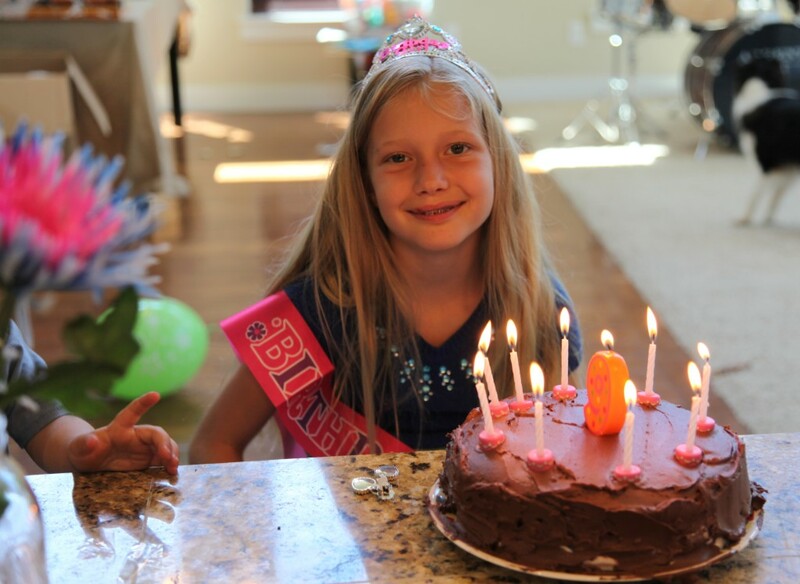 And, just to round out the birthdays, Mia also turned 9. She is growing up quick. 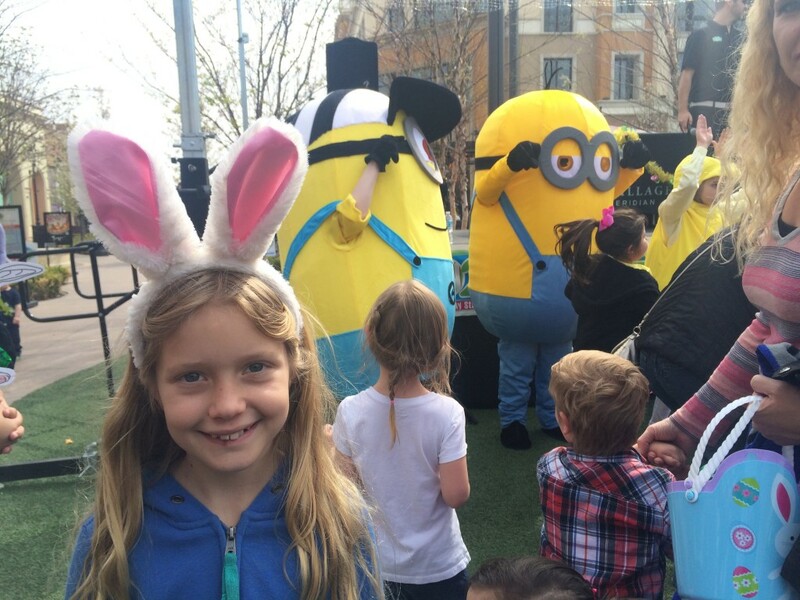 We haven't done an update in a while, so we have to go all the way back to Easter. 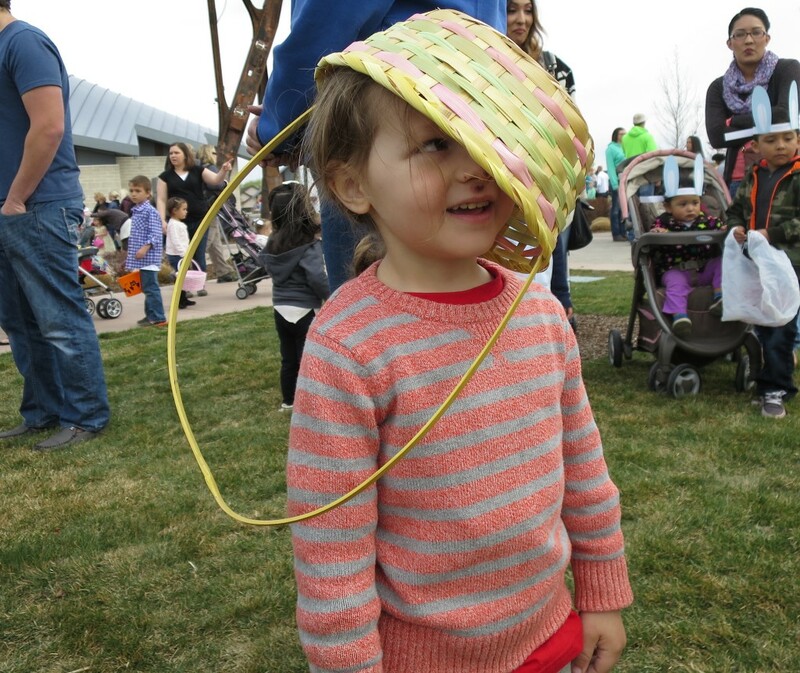 The mall by our house hosted an Easter egg hunt, which Mia happily attended. Miles is a goof-ball. His nose is scraped up from falling off a skateboard. The payoff after all that scrambling. 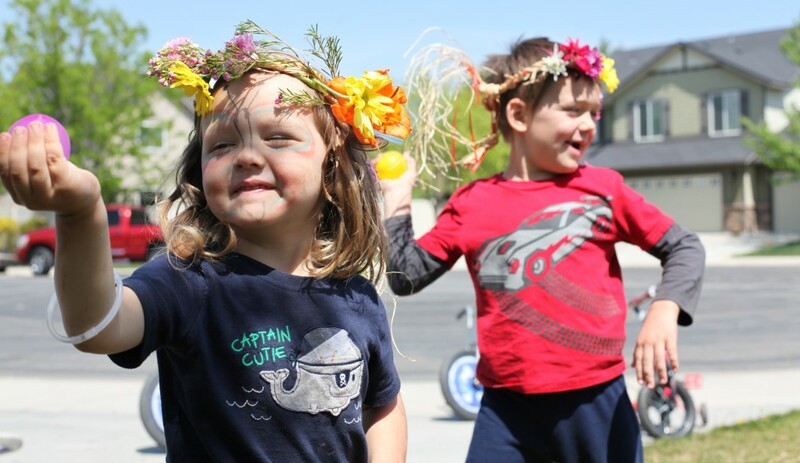 May Day came soon after Easter, and we put on our own celebration in the front yard. With water balloons! 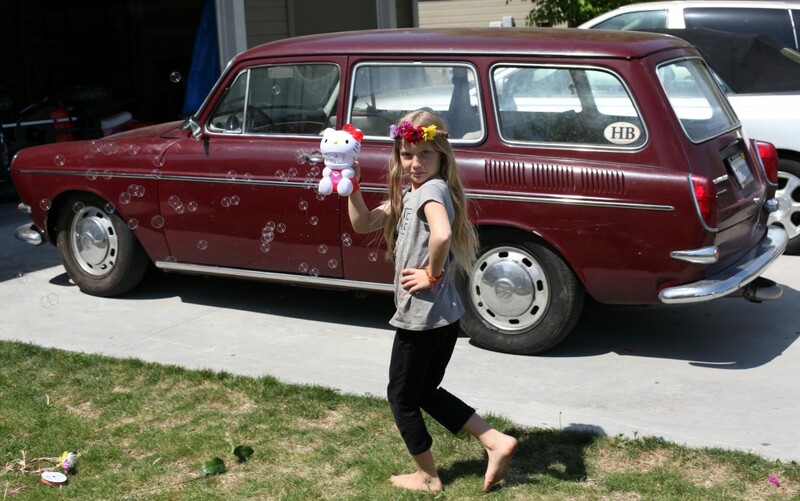 Mia got a Hello Kitty bubble maker for May Day. 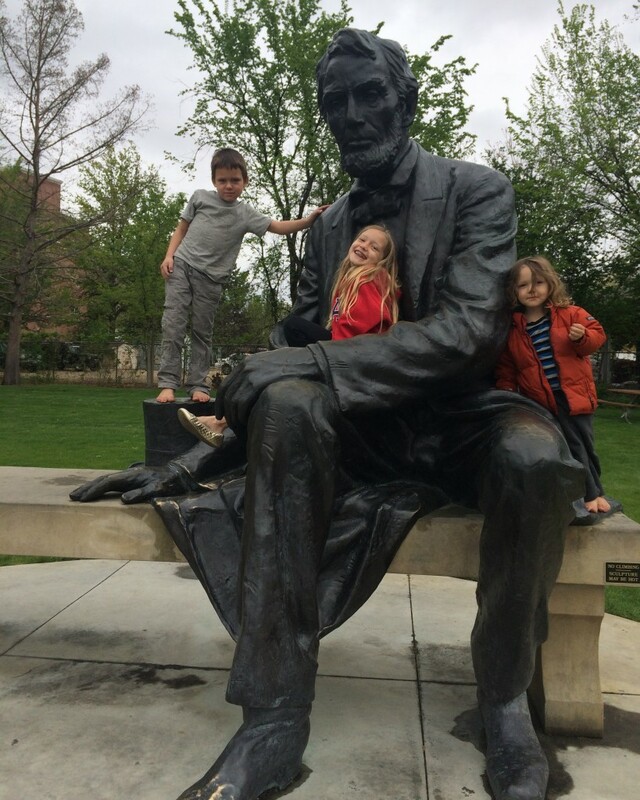 Naomi has been doing some exploring around Boise, and at Julia Davis Park they found a giant Abraham Lincoln statue. 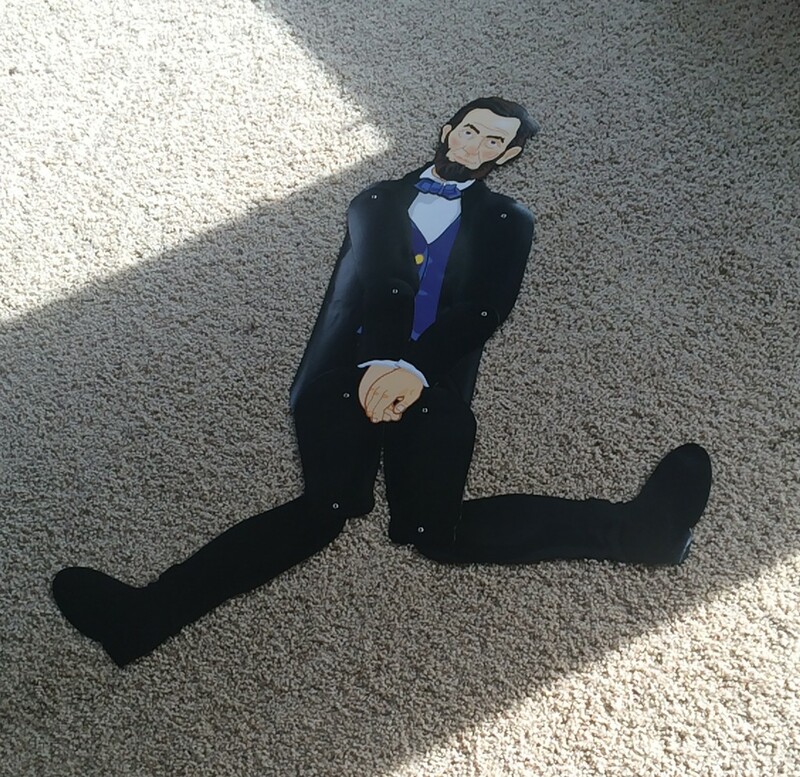 Naomi bought the kids Abraham Lincoln and George Washington figures, and the first thing Amelie did was pose the Lincoln figure like this. 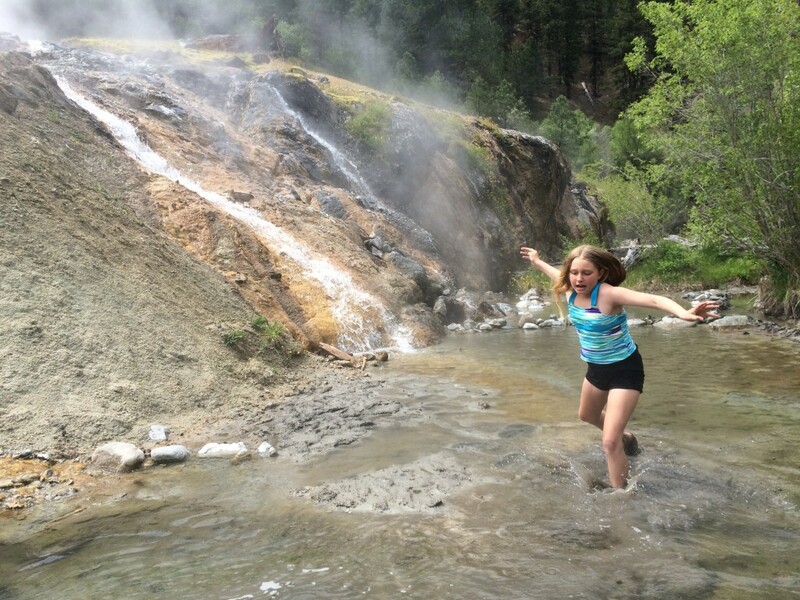 Because there's a super-volcano under the Idaho area, there's a lot of hot springs in this state. Naomi started visiting some to find out which were worth coming back to. This one is a bit too hot for Amelie, but others were just right. 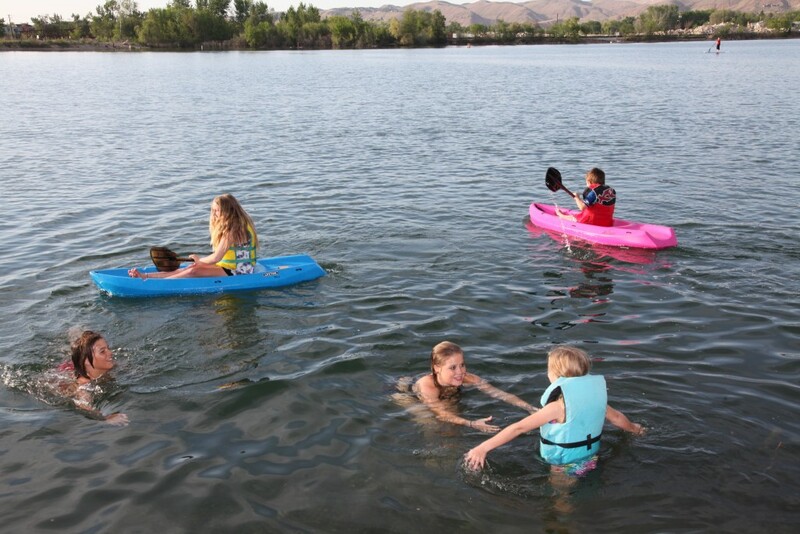 Naomi bought a couple of kayaks and found a nice lake in Boise for the kids to paddle out onto. 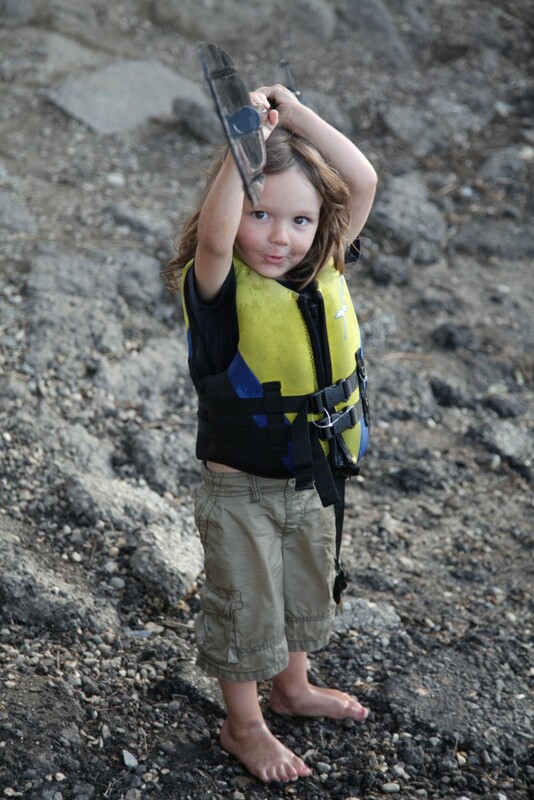 Miles is ready to get out and start paddling. Or ready to hit somebody with that paddle, I'm not sure. After swimming, he's a bit tired out. Catherine and Gavin came out to visit for a week, and we took them to the lake for a little fun. 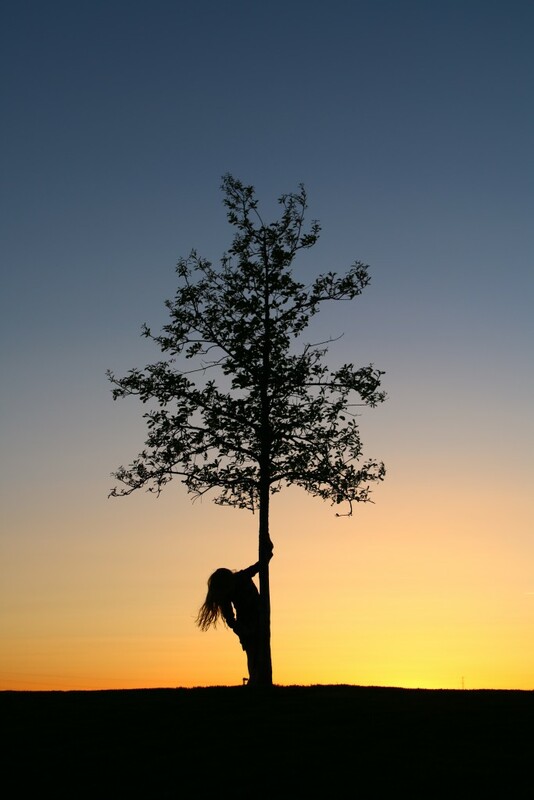 Catherine took this picture at sunset of Amelie. Both her and Gavin are pretty good photographers. Way better than me, anyway. 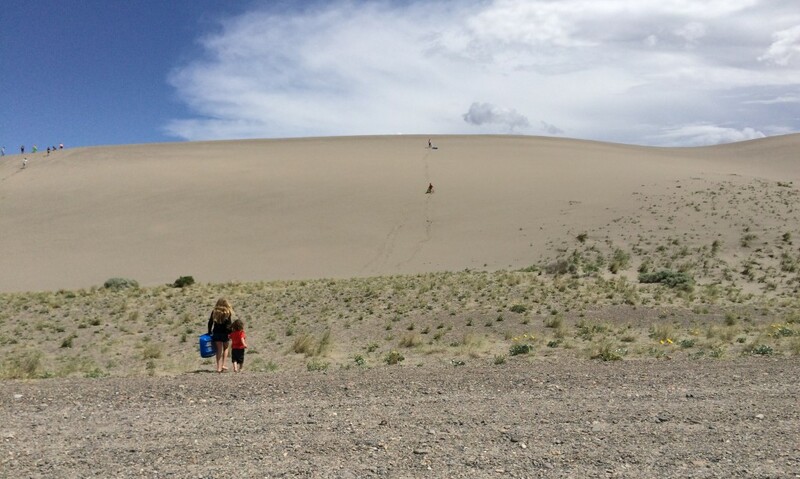 Naomi found a place where you could go sledding on a sand dune. It didn't work so well, though. We brought our pets with us, three rabbits and the dog, Buddy. Unfortunately, Buddy is a herding dog, so he's always trying to bother the rabbits and herd them. He got into the rabbit area and killed two of the rabbits, and this is the one that's left (he was in a different area than the other two). 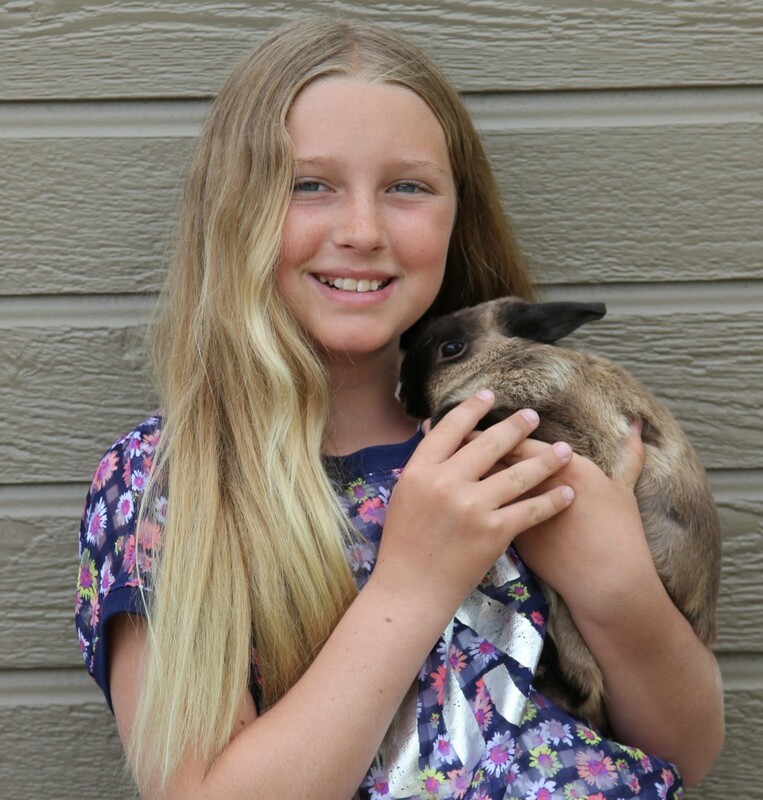 Naomi took the girls to a bunny show and bought a couple of Netherland dwarfs. 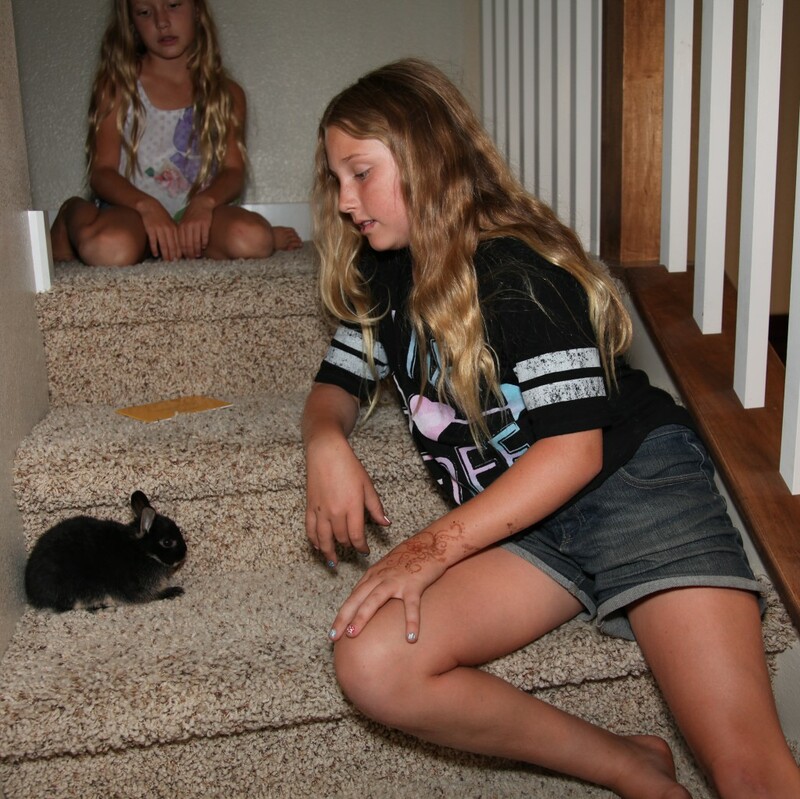 Mia's bunny is named Lightning, and Amelie's bunny is named Bolt. 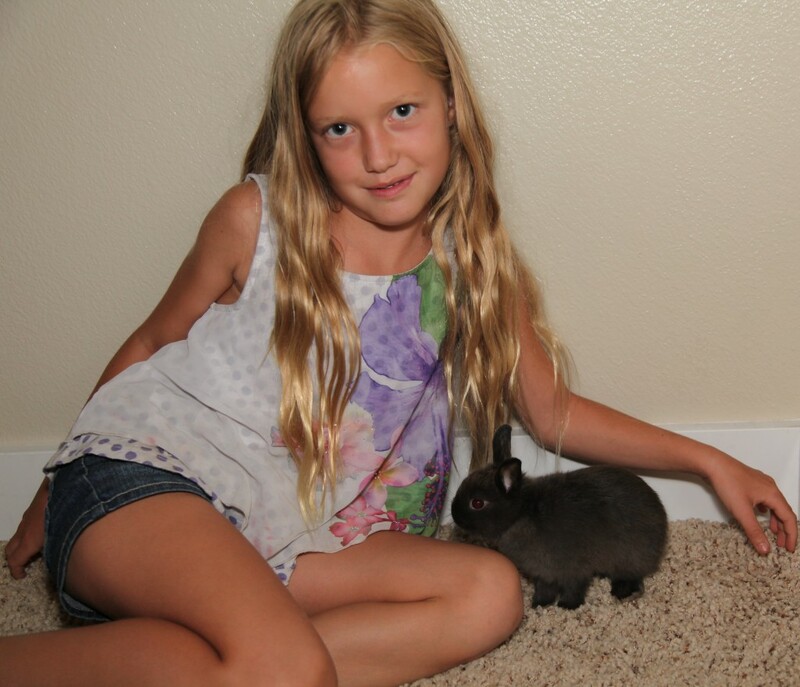 Both bunnies are super-cute, they're only eight weeks old. 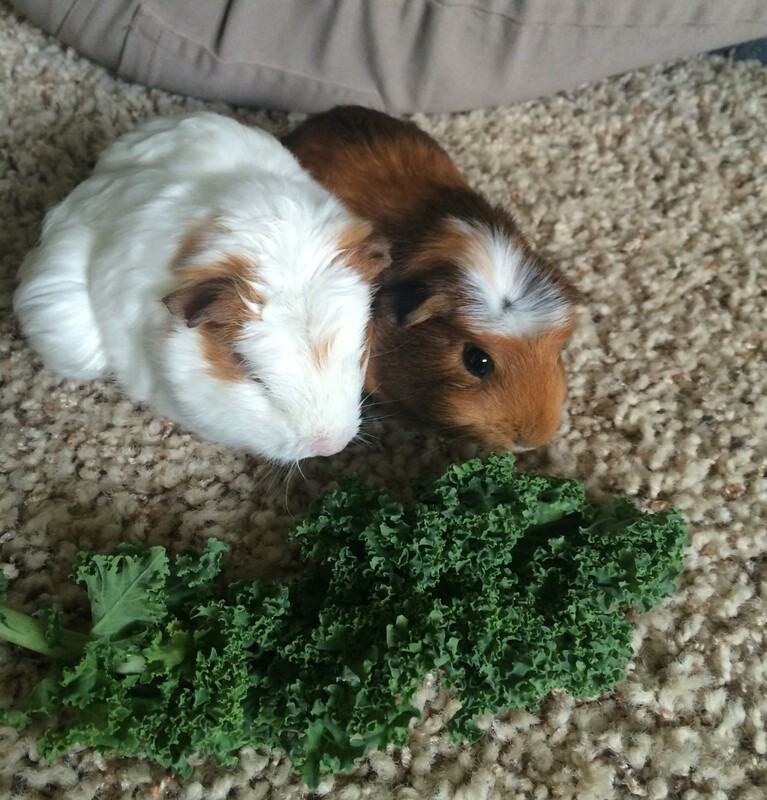 We got three new guinea pigs, but unfortunately two of them have already died. We're not sure why they died, they were babies and got sick and died. We adopted a couple of kittens, and they're doing great. The dog does try to herd them as well, but they hiss at him and he runs away. We're working on having them get along, though. 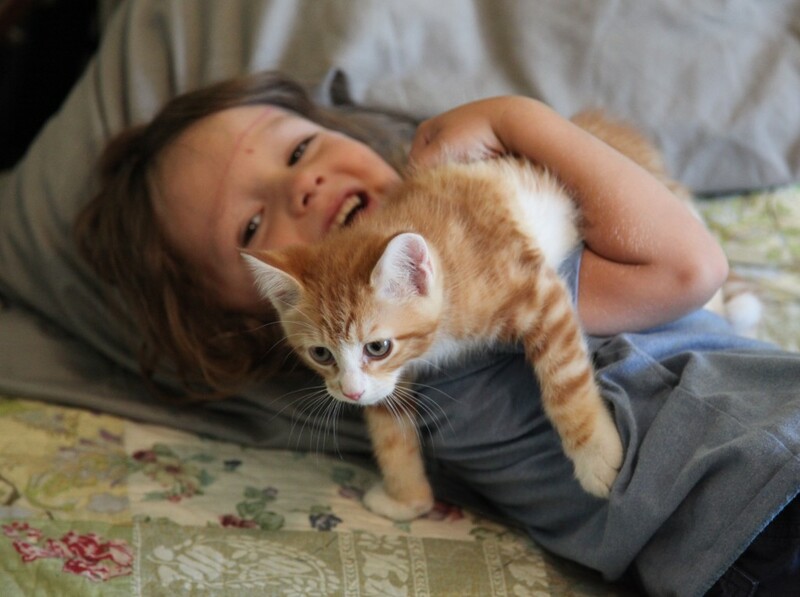 Miles playing with a kitten. Kittens are okay, but they're not as cool as dogs. 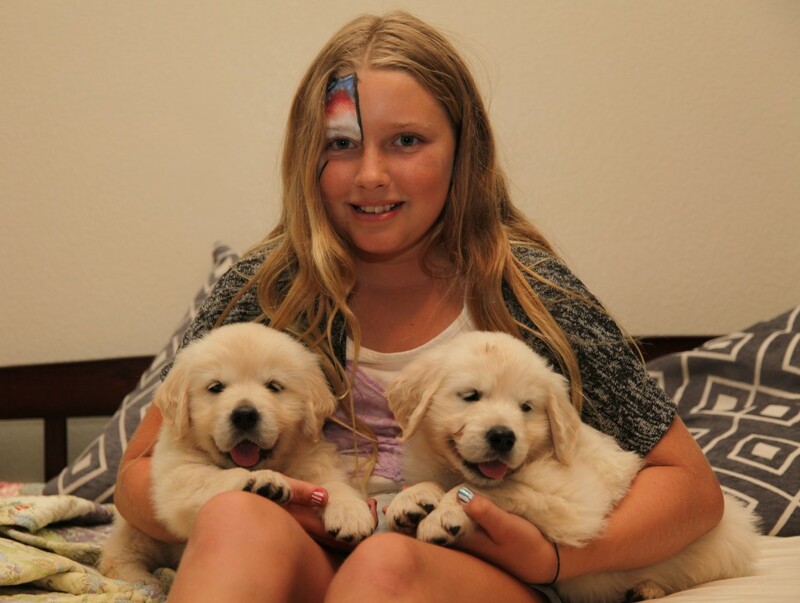 Amelie is looking for pet-sitting opportunities, and she got to pet-sit two golden retriever puppies for a few days. They were so cute, but they chewed on everything. Puppies are incredibly cute walking around and getting into this, here's a short video of them. Miles is trying to get Buddy to roll over, and after Buddy sits, he says, no, not sit, roll-over, and then gets down on the ground to show him. 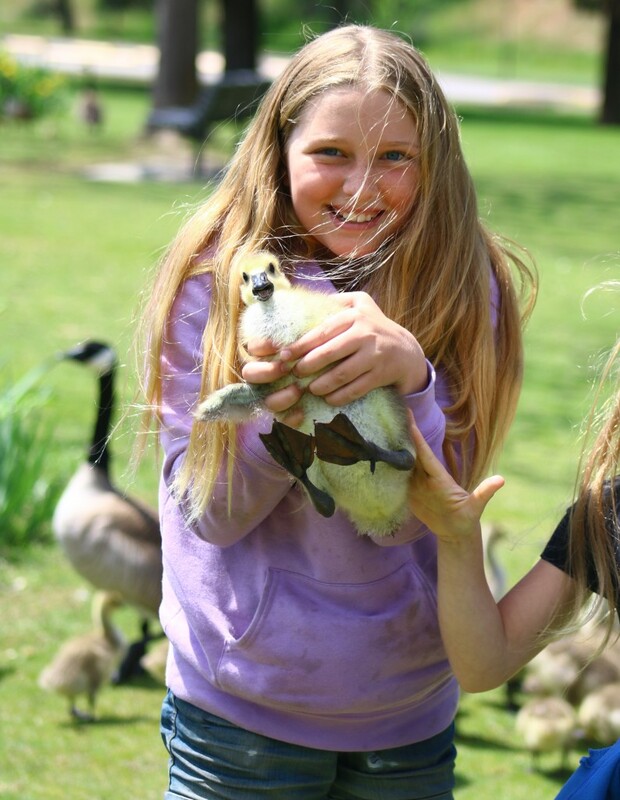 Amelie caught a duckling at the park near our house. It wasn't easy. 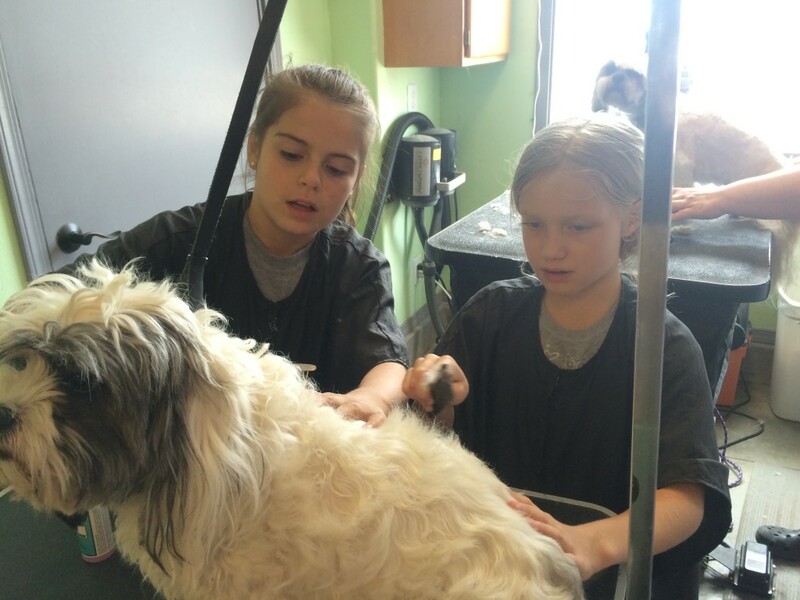 Amelie and Mia volunteered for a time at a dog grooming business in the neighborhood. 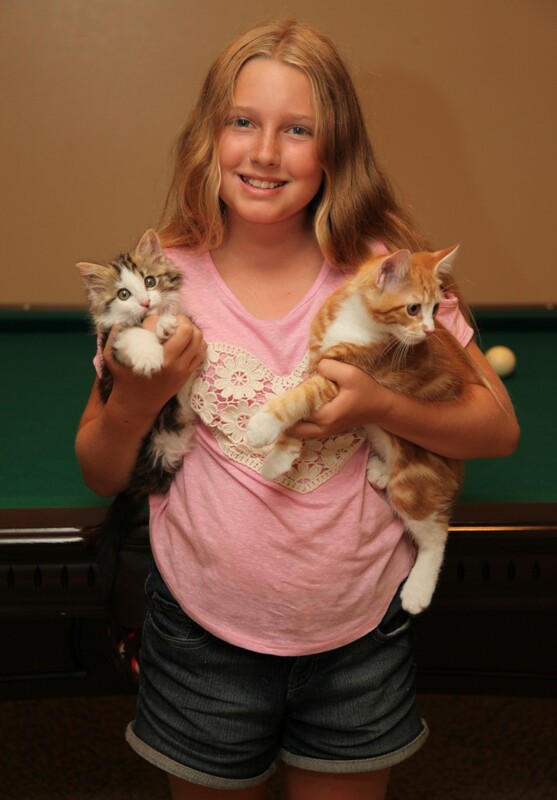 This is Mia's friend Emily, helping out as well. 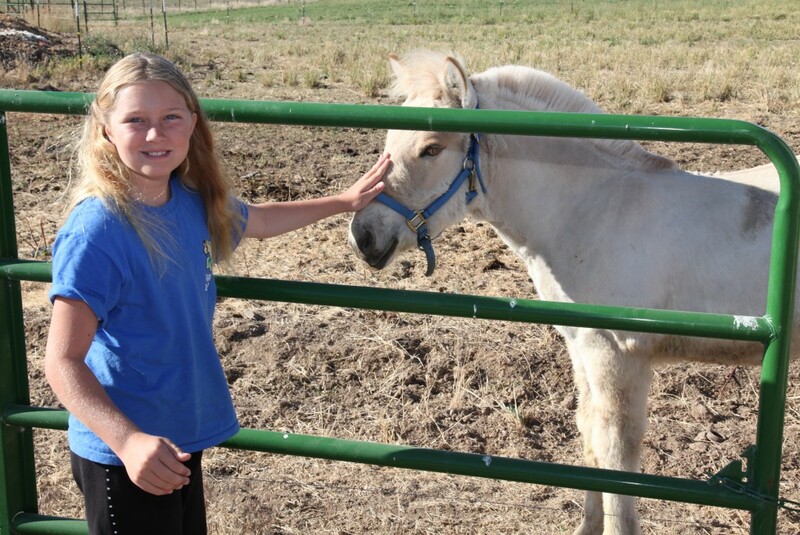 We signed Amelie up for a farm camp in June, and they had just had three new baby horses. They're Norweigian Fjord horses. 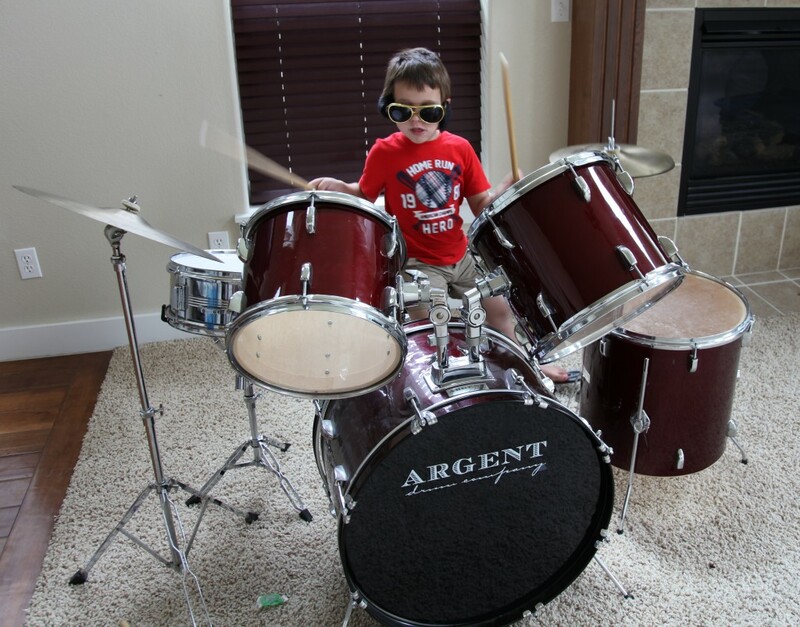 We bought a drum set at a garage sale and Desmond enjoys them a lot. They're so loud, though, you have to go hide when he plays them. Speaking of drums, we went to a drum circle at the Spiritual Center of Boise. They have this giant drum where you can lay under it and let the vibrations wash over you. It's actually pretty cool. We signed Mia up for piano at first, but she wasn't into that. I ended up sticking with it and I'm still taking lessons from her teacher. 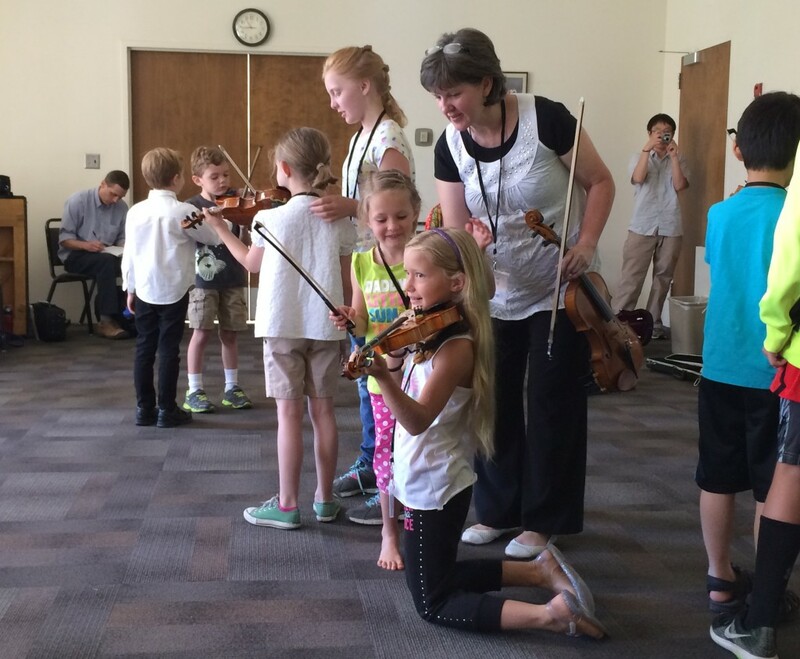 She switched to violin and so far, she's enjoying that. 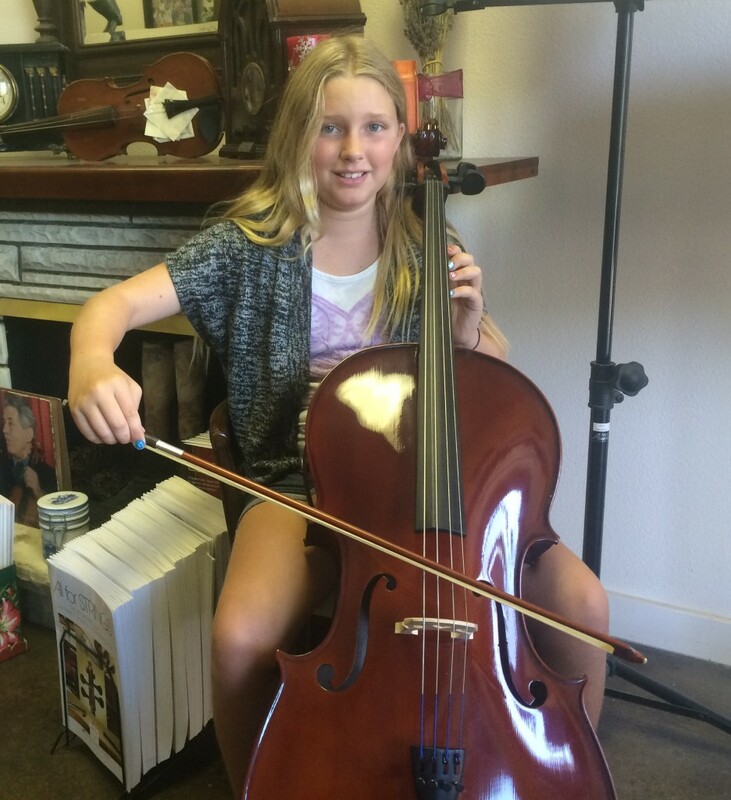 We signed Amelie up for cello lessons, but she's only had one so far, so we'll see if she sticks with it long term. We're renting both the violin and cello, so if they quit we're not stuck with these very expensive instruments. 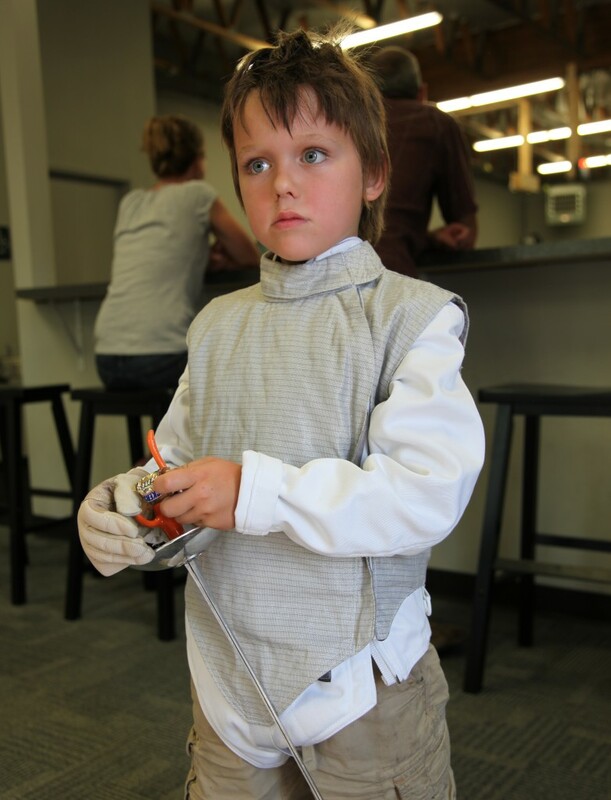 Instead of music lessons, Desmond decided fencing was more his style. He's still young to be doing any kind of structured fencing, for him it's more about poking people with a sword (or foil, in this case). Amelie and Gavin did this time-lapse video on Naomi's iPhone, it's pretty cool. 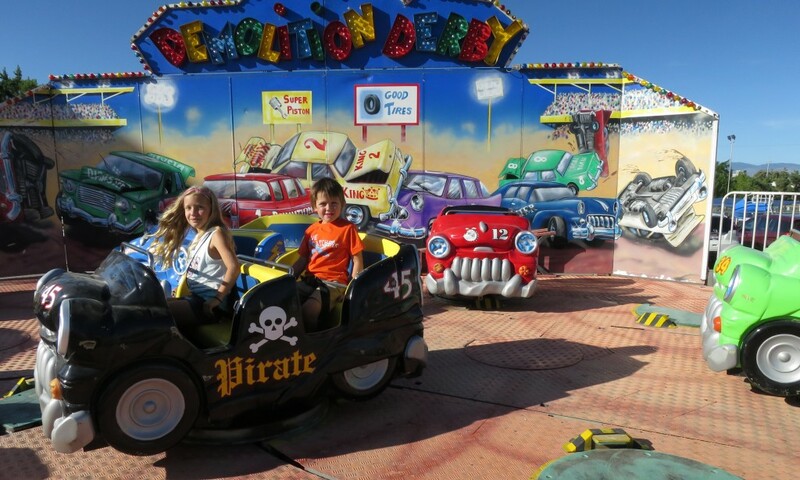 There was a little summer fair in Boise, so we took the kids and got them bracelets to enjoy unlimited rides. 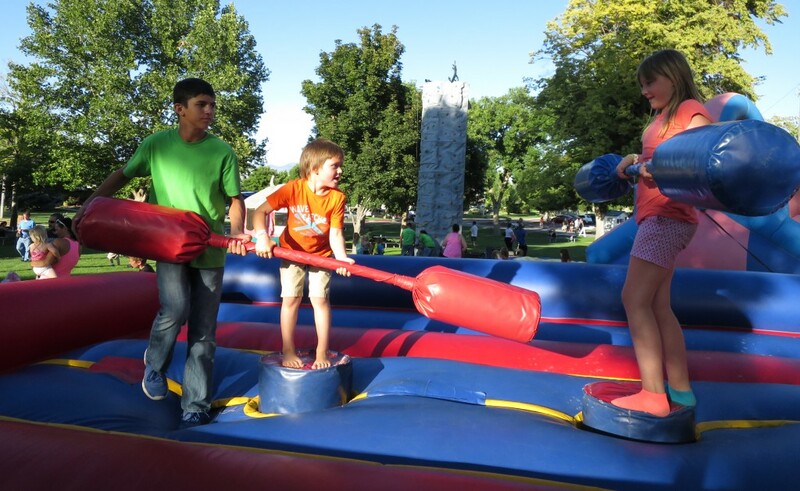 Desmond did okay on the giant jousting contest. 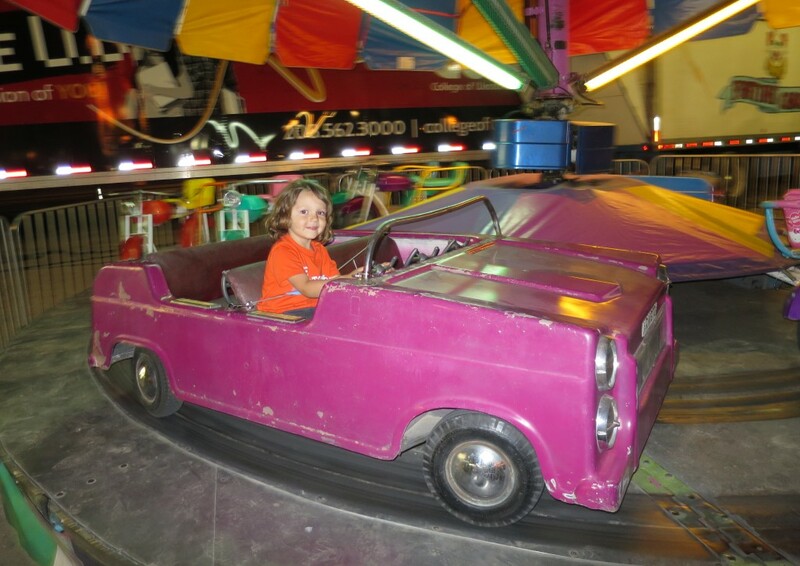 There were even rides for Miles. 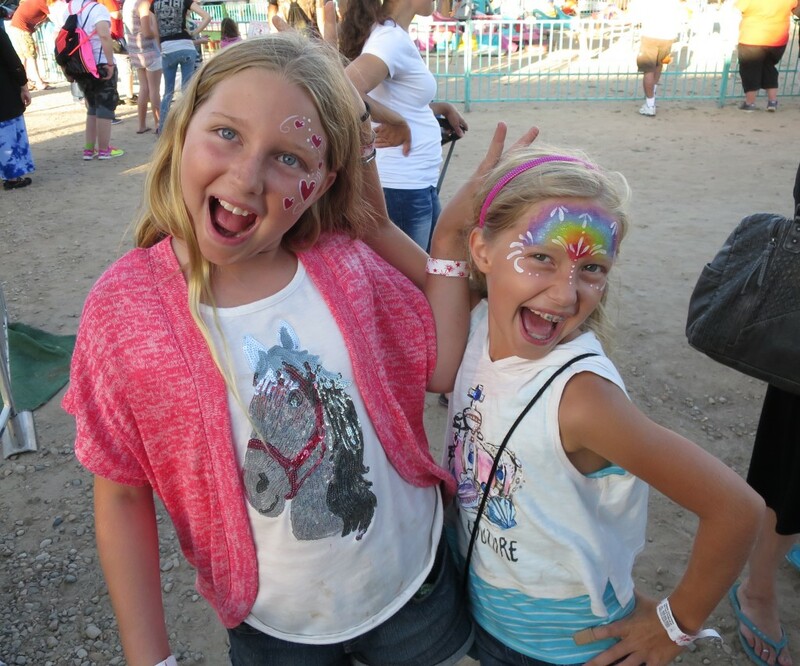 Amelie and Mia got face painted and had fun at the fair. 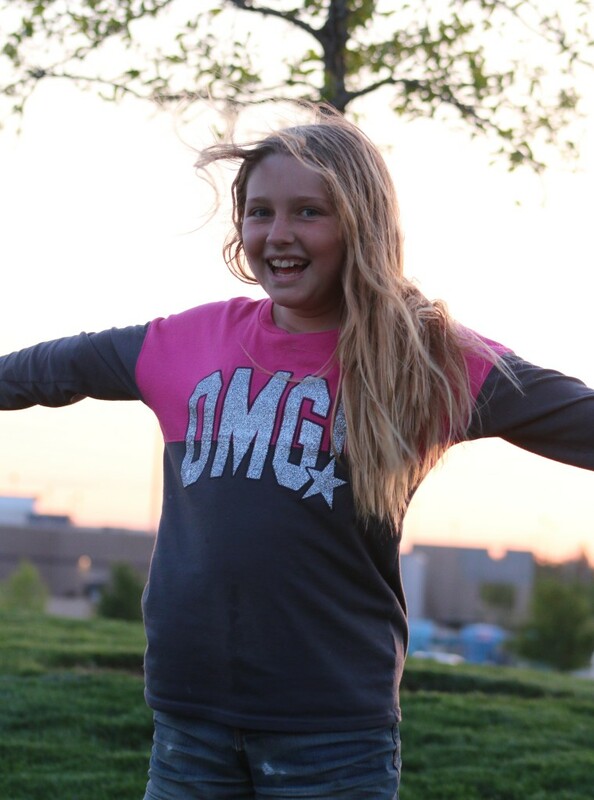 You can see Mia's braces in this picture. She'll have them on for about a year and then again when she's 12 or 13. 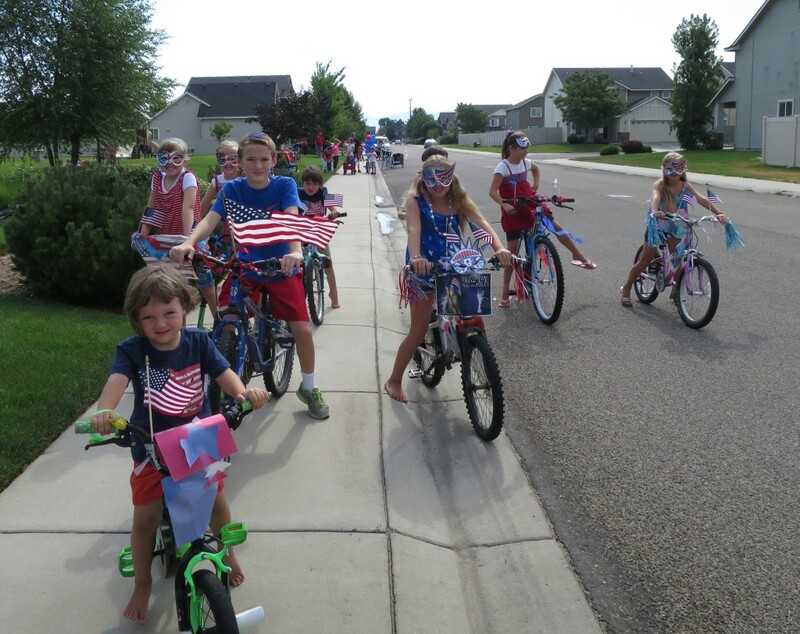 For the 4th of July, the neighborhood had a bike parade. The kids had a lot of fun decorating their bikes. Miles is off the balance bike and riding a bike with pedals now. 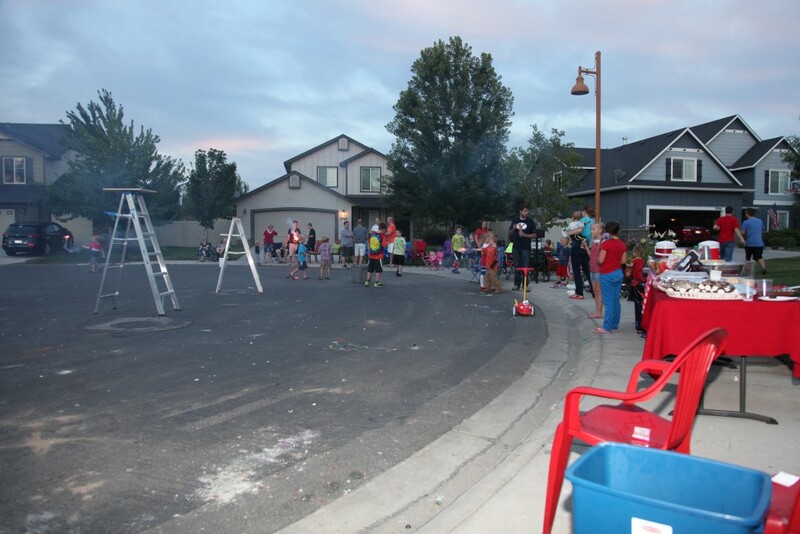 The cul-de-sac that we live in had a block party, it was pretty neat. We set up ladders to put the fountains on. 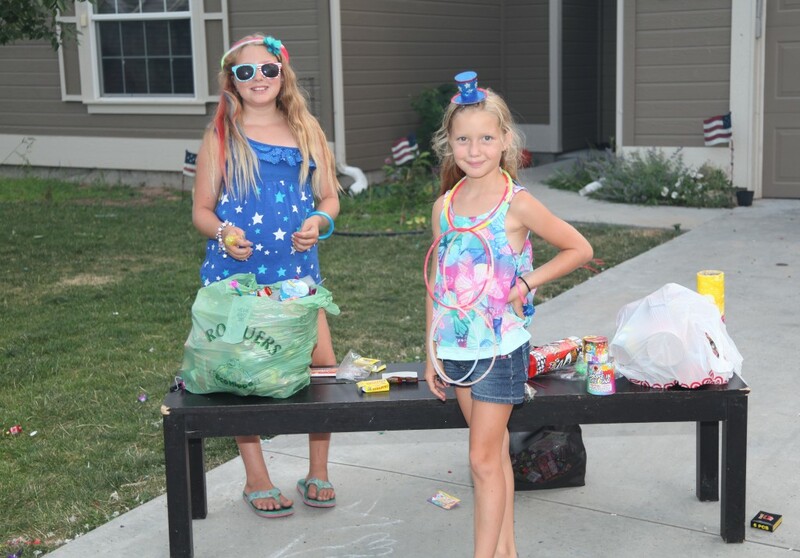 Amelie and Mia enjoyed getting dressed up for the 4th. They even bought temporary hair dye to color their hair red, white and blue. 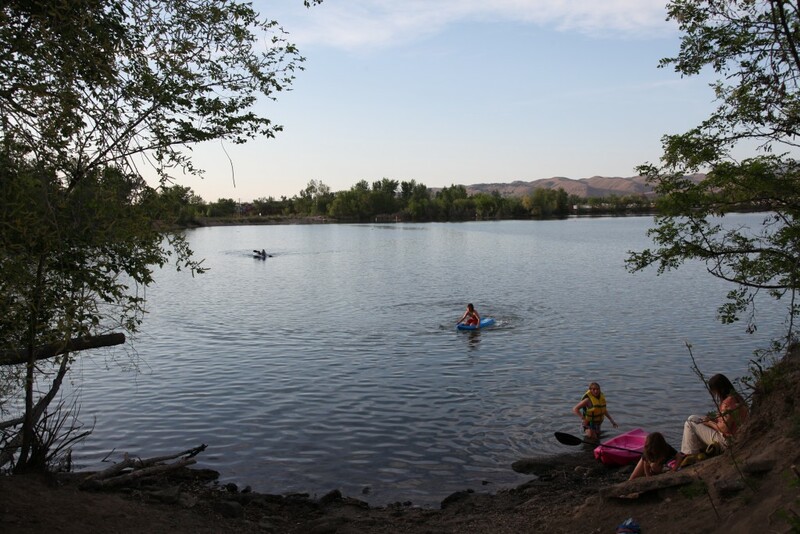 Because Idaho is more north than Southern California, it gets dark really late, past 10pm. We didn't get to sleep until 1am. 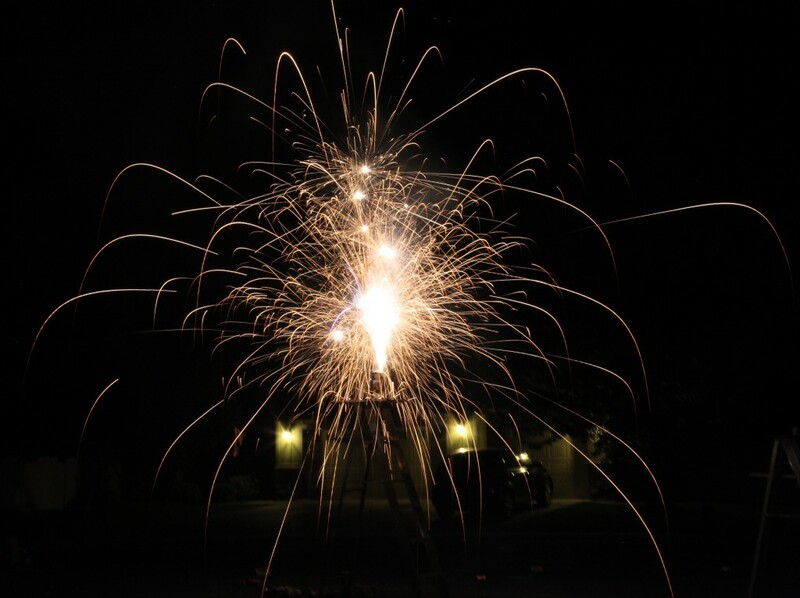 Idaho allows illegal fireworks to be sold but not used in the state (yeah, right). We didn't buy any of them, though, we stuck to the safe and sane ones. Mia ended up being burned anyway by a random spark, but it wasn't that bad. 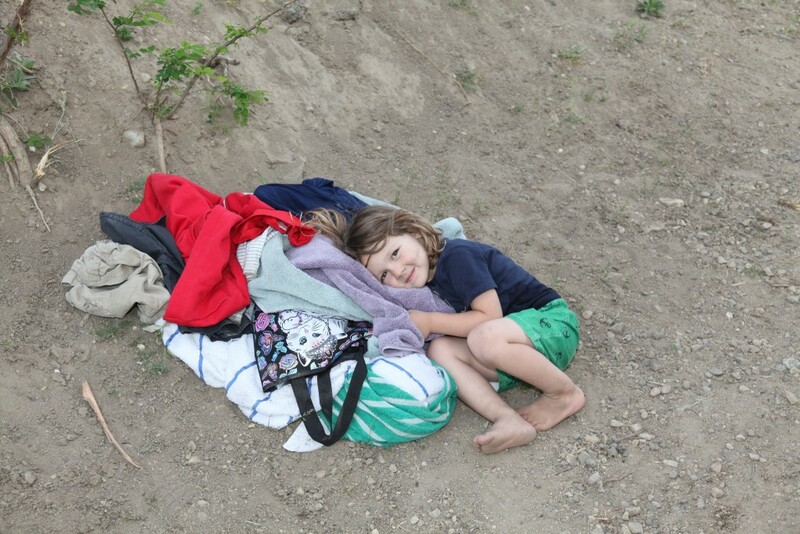 I was surprised by how little fireworks the other families had. I was used to going to Alyssa's cul-de-sac and watching half a dozen ladders set up with fountains going for thirty minutes straight. 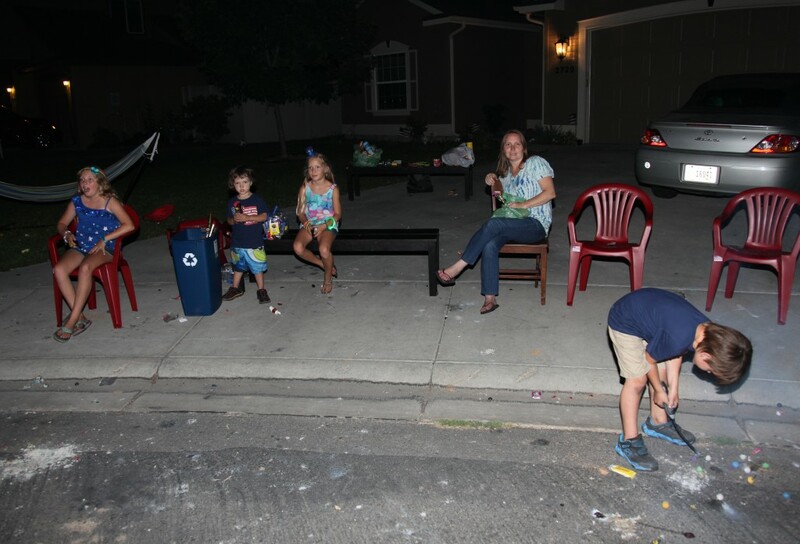 We spent over $500 on fireworks, but mostly the other families showed up with a couple of fountains and that's it. We were lighting fountains for a long time, we had so many. 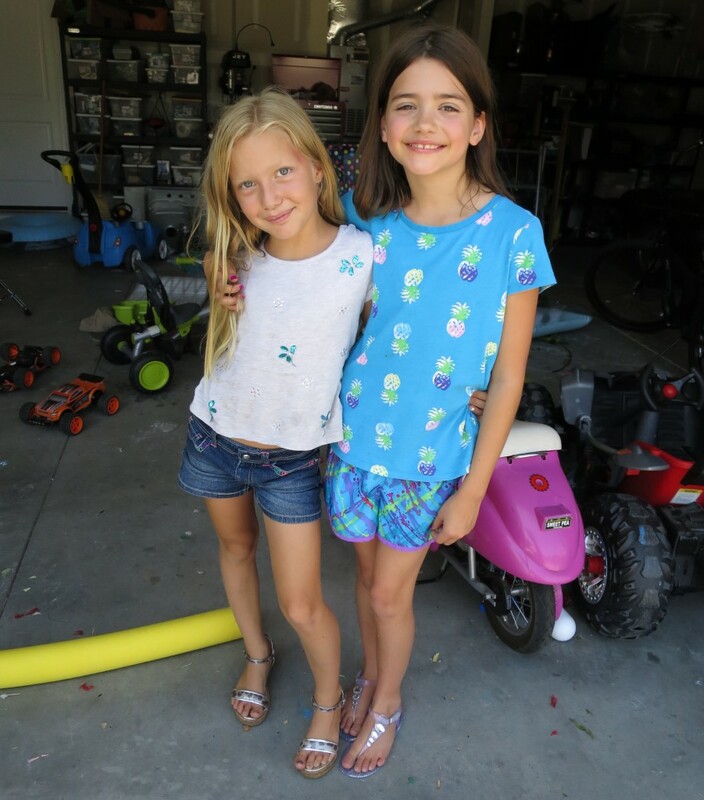 We met another home-school family in the neighborhood, and Mia has been hanging out with Josie here. There's so many kids in this neighborhood, it's nuts. 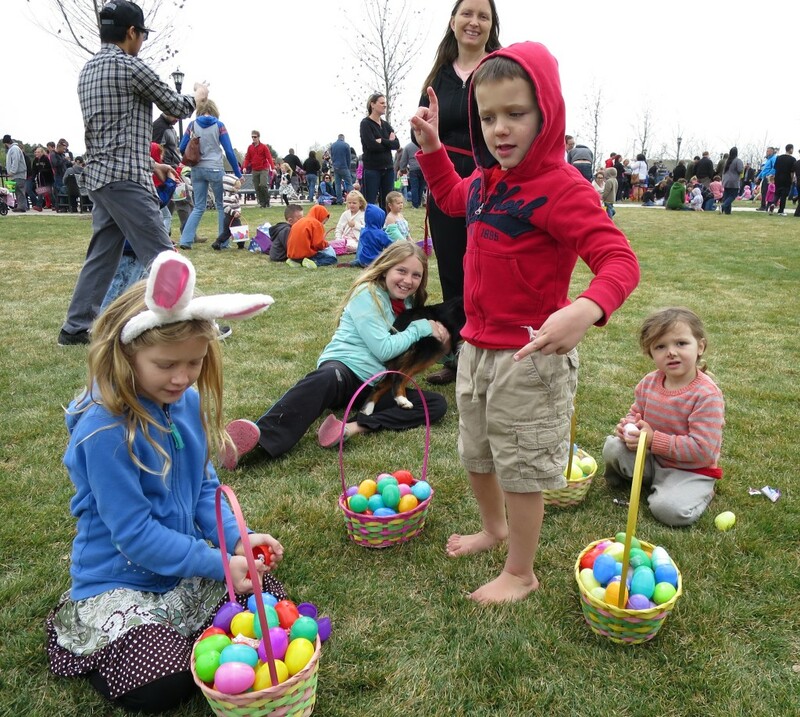 Maybe because everybody's Mormon and Christian and neither one of those groups is known for their stringent birth control, but in Orange County, having four kids wasn't that common, but here, it's on the low-end for family size. I like this photo a lot because Mia looks so grown up! She's tan and wearing Josie's shoes that have big heels so she looks taller.